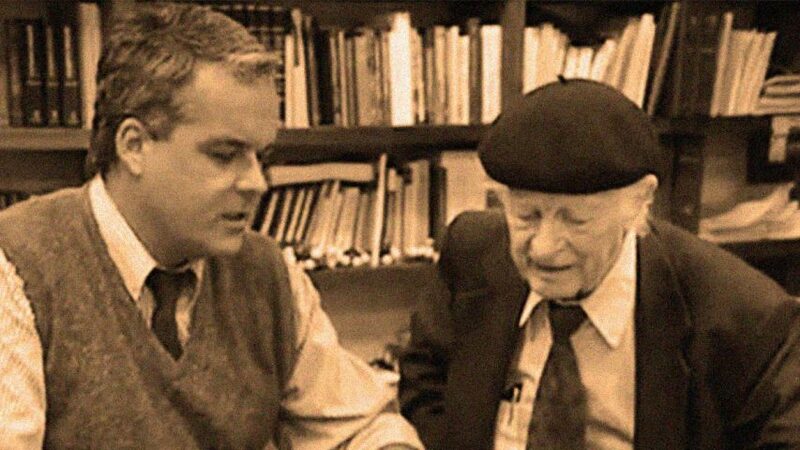 I had known Linus Pauling from the time when I was a medical student. I first met him at a conference on the island of Mainau in southern Germany. At this conference young scientists had the opportunity to meet with Nobel Laureates. Later I met Linus again during the Nuclear Freeze movement and in 1983 I was accompanying him on a lecture tour, where he also talked about his Nobel Peace Prize for helping to bring about the atmospheric nuclear test ban treaty. I continued to see Linus several times during the 1980s but none of the meetings was as crucial as the one at his ranch in Big Sur in late autumn of 1989. The last two weeks in October that year I made a lecture tour through the United States, presenting the work on atherosclerosis and new risk factor lipoprotein(a) that had just been published in Arteriosclerosis, the journal of the American Heart Association. I had been invited to present this exciting research at the Metabolic Disease branch of the National Institutes of Health in Bethesda, at the Medical School of the University of Chicago, at the Baylor College of Medicine in Houston, the Arteriosclerosis Research Department at the University of California San Diego in La Jolla, and at Genentech, the famous biotech company in San Francisco. The lipoprotein(a) story was “hot news” at those Ivy League research centers but any connection to vitamin metabolism was ignored. 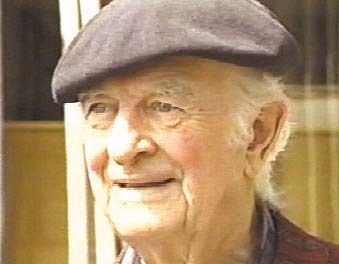 On the last weekend of that October I had arranged a visit with Linus Pauling at his ranch in Big Sur. I had sent a copy of my publications and some supporting materials to his institute—but they hadn’t reached him. On that Saturday I drove from San Francisco—where I had given a lecture at Genentech on Friday—to Big Sur. It was a beautiful 4-hour drive south on scenic Highway 1 along the Pacific coast. I had visited Linus at his ranch before, but this time—I knew—would be different. After passing the cattle gates on the small windy road from Highway 1 down to his ranch, I finally reached the wooden ranch house that Linus had chosen as his refuge for the last decades of his life. The door of his house was never locked and I entered, making my way through mountains of scientific journals that had piled up over many years along the hallway connecting the entrance with the living room. Linus was sitting in a wire chair that apparently had survived several decades. The living room looked like the epicenter of a continuous scientific whirlwind. There were books, scientific articles and handwritten notes lying around about one of the unsolved puzzles in physics, the atomic structure of quasi crystals. Linus had been working for the past months identifying these structures—using only his mind and a calculator. It was one of those typical tests by which the eminent scientist who has seen a century in science tests the young scientist about how convinced he is about his own discoveries. Of course I was! I replied: “Linus I would like to make a suggestion, I’ll leave these papers here for you to read and I will stay overnight in the Ragged Point Inn. I will come back tomorrow and we can talk some more.” I had passed Linus’ test and he replied smiling: “Very well.” I drove back to Highway 1, convinced that the next day I would know from the brightest scientist alive whether my observations were only a coincidence or whether it was a principle of nature. 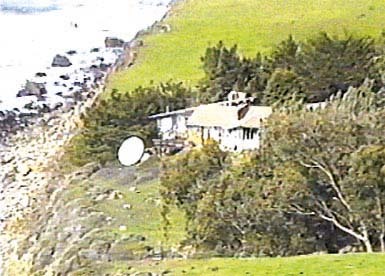 The Ragged Point Inn Motel is several miles south of Linus’ ranch directly above the Pacific. I stayed there in room No. 11 on the ground floor reading and working late into the night to prepare myself further for the following morning’s discussion. I knew that the amino acid lysine would possibly block the lipoprotein(a) fat particles from being laid down inside the artery walls. I drew figures to show how the combination of lysine with vitamin C could modify these lysine molecules to hydroxy-lysine, possibly preventing blood vessel deposits, heart attacks and strokes. For California the next morning was the beginning of another beautiful late autumn day. For mankind it was a historic day—the beginning of the end of the cardiovascular epidemic. When I reached Linus’ ranch at nine o’clock he was already waiting for me. He jumped up from his chair and welcomed me with excitement. “I read your stuff and it is pretty interesting,” he said, trying to appear controlled. However, there was no way he could hide his excitement. We talked for another three hours, during which I introduced Linus to the possible therapeutic value of vitamin C in combination with lysine not only to prevent the deposition of this dangerous fat particle inside the artery walls but also to reverse cardiovascular diseases naturally—by releasing lipoprotein(a) from these deposits. 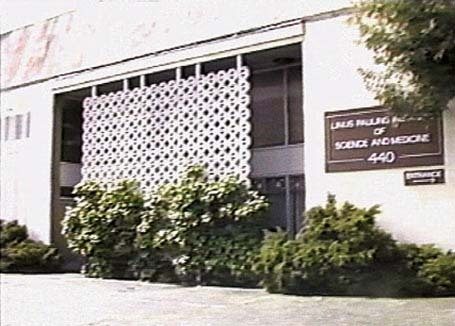 The Linus Pauling Institute on 440 Page Mill Road in Palo Alto in 1990. The building was torn down in 1998. Linus agreed but he seemed to be more fascinated with the evolutionary connection, the loss of vitamin C production in man’s ancestors and the sudden appearance of lipopoprotein(a) a few hundred thousand generations ago. “Isn’t it amazing that this particle popped up in such a short time during evolution?” he asked. I realized that Linus looked at scientific problems in a fundamentally different way from all the other scientists I had met. The bandwidth of his brain covered millions of years in evolution as easily as the atomic structure of atoms no one had ever seen. I felt pretty proud of having excited this scientific giant with my discoveries. The Sunday morning ended in small talk with Linus asking me about continuing my research in California and even explaining to me the size of his property and the possibility of building one or two more houses on that property. I did not immediately understand the reason why he brought this matter up until much later. 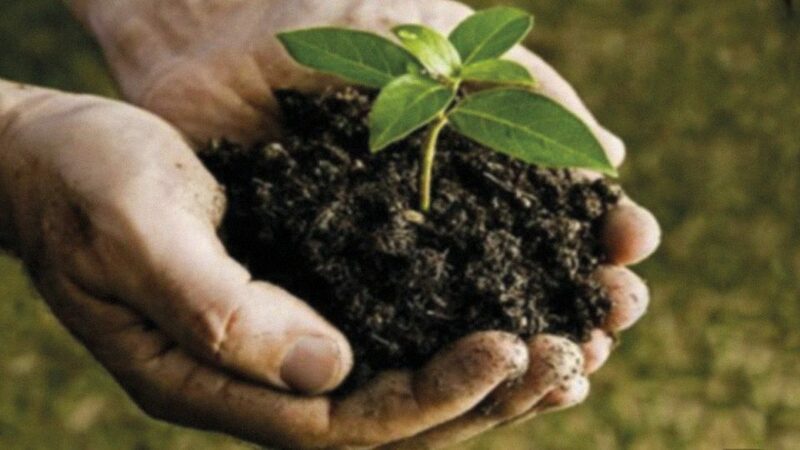 He was a scientist buried alive with his life’s work on vitamins. He had just met a young scientist with whom he not only shared his views for a better world, but now also a common scientific drive to get the health benefits for vitamins accepted on a worldwide scale. We parted, with Linus stating: “Matthias this is a very important discovery. But I don’t think I should get more involved in this than just talking to you.” Apparently, Linus felt he had not contributed to this discovery and that he should rather continue his current research in physics. For me this was all I needed to hear, a confirmation of my discovery as a principle of nature by the two-time Nobel laureate. I literally jumped in my rental car and drove the eight hours south on Highway 1 until I reached San Diego that night. The next day I would give a presentation at the cardiovascular research department of the University of La Jolla. But this was today—my day! I remember honking at cows, seals and just about any other creature that crossed my way south that sunny October afternoon. Four days later I was back in Berlin, Germany, and another two days later I received a letter from Linus Pauling. He had given up his portrayed indifference and given way to open enthusiasm. He proposed to immediately write a scientific publication for the Proceedings of the National Academy of Science about the connection between lipoprotein(a) and vitamin C deficiency. More importantly he invited me to join his institute, start a cardiovascular research group and become his personal collaborator. Of course, Linus did not escape the dreadful state of affairs at his institute at that time. In his letter I found the sentence “I even think we have an ultracentrifuge at the institute.” The availability of an ultracentrifuge, of course, was just about the minimum equipment for any reputable research laboratory. I knew the research possibilities at Linus’ institute would be very limited. I slept on this gracious invitation for a night and the next day I called Linus. I thanked him for the invitation but turned it down. I had decided to continue this research project at the Baylor College of Medicine in Houston, one of the Ivy League medical institutions in the country. My explanation to Linus was straight forward: “Linus, if I come to work with you on vitamin C it is like all Catholics moving to the Vatican. I want to take vitamin research into established medicine in order to accelerate its acceptance into mainstream medicine.” After a long pause, Linus responded, noticeably disappointed and somehow tired: “Very well.” I had made my decision at that time. Little did I know that this decision would not last more than 6 weeks. After a short interlude at the Baylor College of Medicine in January 1990 my fascination with becoming the personal collaborator of a two-time Nobel Laureate was overwhelming. I packed my suitcases and moved from Houston to Palo Alto.